Welcome to Brad Smith Outdoors! Hopefully you will enjoy some of the articles, stories, and recipes found on this site. As for a little about me, I’m an avid outdoors enthusiast as well as being an outdoor photographer, writer, and wild game cook. There’s not much more I enjoy these days than being able to spend time fishing or hunting while taking photo’s of the trip and then writing about it when I get home. Brad, right on the money. I am a RD for Whitetails Unlimited and have been singing that song for 8 years now. We cannot leave it up to the hunters. Hunters will shoot more bucks or does if the State allows them to. 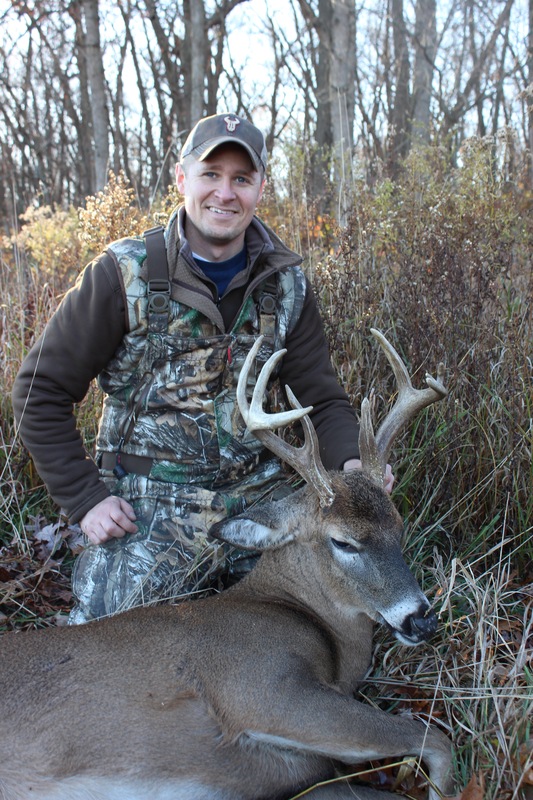 In Ohio we lobbied for reduced doe harvest and won a slight victory. The “new science QDM” is killing our future. Most States subscribe to this philosophy. As hunters don’t have success, we lose hunter numbers. We need to find a way for more hunters to each get A deer before allowing opportunists to harvest more deer. The trend of States promoting “kill an extra and donate it” does not help. My State even goes as far as matching funds for FHFH to encourage more does shot. We now have to lie in the bed we made… or burn that one and make a new bed. Our future depends on it. Also, don’t believe the hype- the heads of wildlife in Ohio told me the next insurance company that lobbies them for reduced deer herds will be the First time they ever heard from the insurance industry on this. It’s a fallacy. We need to actively lobby to stop the massacre or we will deplete the shelves and lose our future. Goodness, it sounds like both our states are a mess! Skip Peterson here from Gearhead Archery. Thank you for posting the piece you did on us from the ATA SHOW. Much appreciated! Thank you Skip! Thanks for taking the time to show me your bows! What. A. Fish. Costa Rica was incredible. Can't wait to do it again!